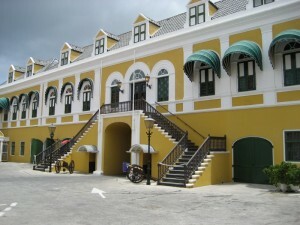 WILLEMSTAD – The higher supervision of the Kingdom Government that gives all the authority to the Governor of Curaçao to organize the elections of April 28 this year was ratified today by the Minister of Kingdom Relations Ronald Plasterk. The measure also states that the Governor can use all the government services needed to organize the election. Last Friday, the Kingdom Council of Ministers decided to seek urgent advice from the Council of State of the Kingdom about a few measures to ensure that the elections for the Parliament of Curaçao can take place on April 28, 2017 in an orderly manner. That advice was given today by the Council of State of the Kingdom. The State Council supports the proposed resolutions. The draft national decree of the interim government of Curacao to cancel the election, the Council of States underline the conflict with the legal certainty and good governance. The Governor did not ratify that draft national ordinance. The decisions was published today in the Official Gazette. The opinion of the Council of State of the Kingdom is published in the Government Gazette.